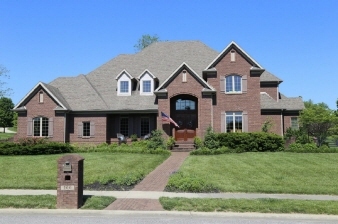 Description: Must see custom built design by nationally acclaimed architect larry belk. 10' first floor ceilings, 9' second floor, 8' basement. Extensive trim and woodwork by smithsonian craftsman. Great room with 31' stone fireplace into cathedral ceiling. First floor master suite with sitting area, separate his/her walk-in closets. Second floor bedroom suite and recreation room with kitchenette. Custom ash cabinets, granite countertops and expansive butler pantry. Data believed correct but not guaranteed. Buyer to verify data prior to offer. Agents read agent remarks.